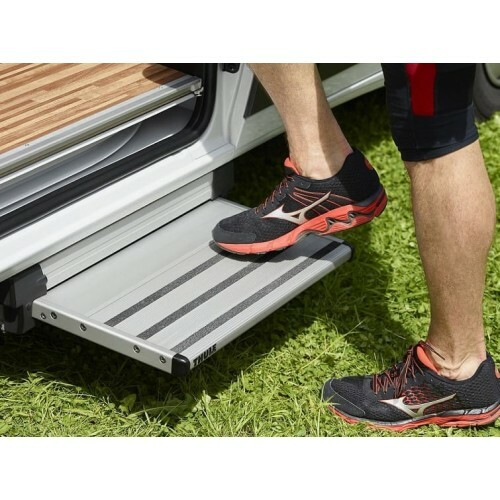 Thule motorhome steps are strong yet lightweight, giving you easy, safe access. 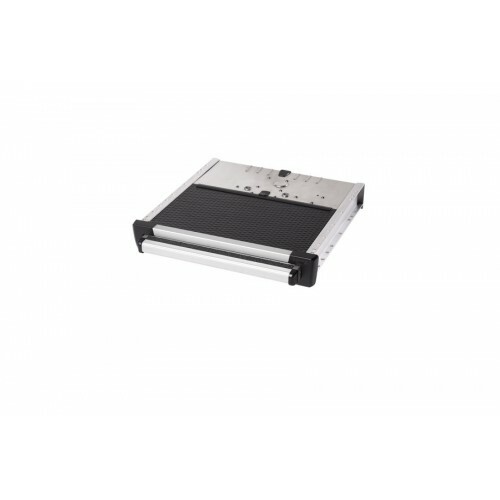 Choose manual or motorised operation and single or double steps. 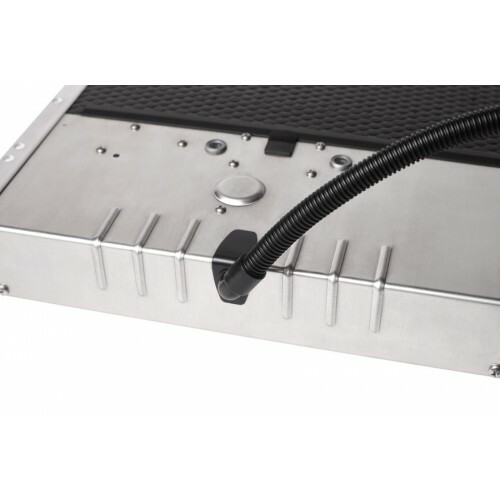 Whether you choose single, slide-out or double steps, Thule motorhome steps are made from strong yet lightweight corrugated anodised aluminium that is extremely robust. For extra safety, they also have rounded corners and antislip strips, and a switch is included that can connect to a warning lamp inside your vehicle so you will never drive away with the step still out. 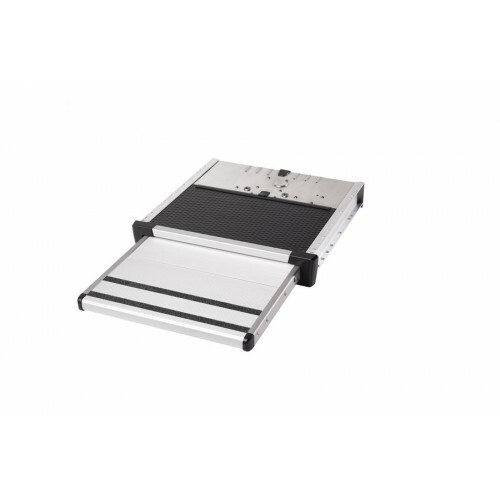 Choose easy-to-use manual steps or, for even greater convenience, motorised steps that are operated by a simple switch that conforms to EMV and CE norms. Thule motorhome electric steps can also be equipped with LED lights for greater visibility at all times. Stable, automatic slide-out 12volt steps for easy and safe entry to your motorhome, campervan, van or caravan.